American Printing offers “soft proofs” (PDFs) that can be emailed to you for proofing, or hard copy proofs from our Canon Imagerunner digital printer (very high quality). 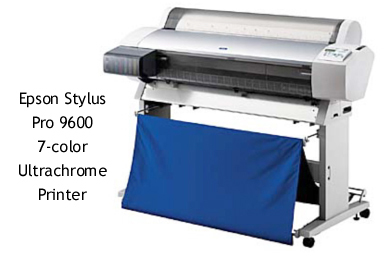 We also offer the latest in high-end color proofing using our Epson 9600 44″ wide format printer. It outputs a maximum resolution of 2880 x 1440 dpi using 7-colors of UltraChrome ink. It provides a near-perfect representation of the final printed product. We are also able to image single prints for anyone who needs a large sign, photo, or banner or needs to make a large full-color mockup. The inks are waterproof and fade-resistant. Need something you don’t see here? Just call and ask!